In 1995 Erica Benedikty wrote a script for a Sci fi film titled Phobe: The Xenophobic Experiment. She saw this as being a $500,000 film. She in fact was in the midst of negotiations to make it on 16mm film. Unfortunately her deal fell through at the last minute. So she decided to just simply make it herself on a $250.00 yes two hundred and fifty dollars, Canadian! She was smart. She got volunteers from the public access station she worked at to be her actors. Got local businesses to donate a camera. Even had a company donate a crane for a few of the films crane shots. Her $250.00 basically paid for some paint, and a few special effects. When complete she would air the film as a filler on Public Access. If you needed a 2hr hours block filled they would throw this on. Over the years it managed to slowly build a rather large cult following. People were actually emailing the station wanting to know how they could see this. Fast Forward all the way to 2015 and the film was finally shown on the big screen at Toronto’s Laserblast Film Society’s WTF festival. To get this ready though they did have to clean it up a bit from the old Beta tape they had lying around. A few quick computer edits and changes and it was ready for the big screen. 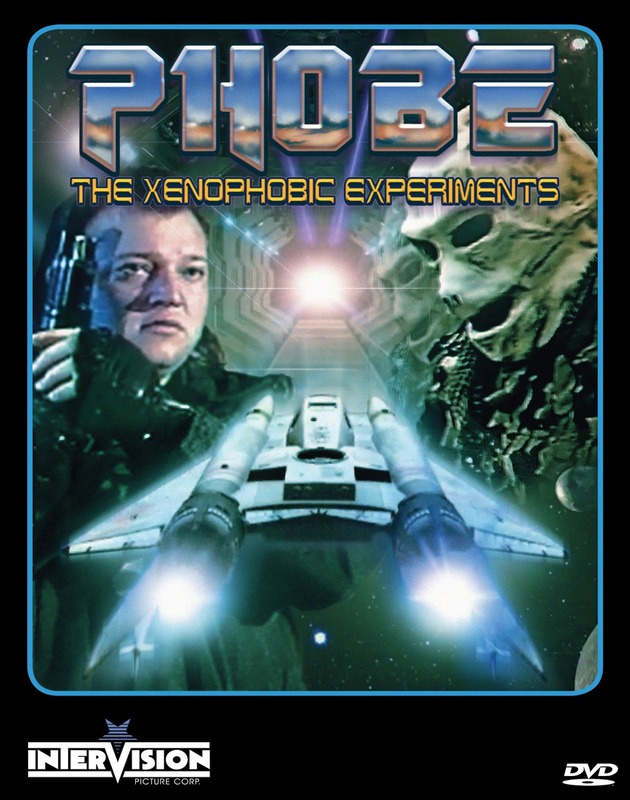 Phoebe tells the tale of well a Phobe which is a military experiment, a lifeform created to be the ultimate soldier on the planet of Mondora. It crashes on Earth and is found by a High School Cheerleader who takes it to earth. The Phobe is being hunted by Sgt. Gegory Dapp who is sent to destroy it. I must say that basically it for the plot of the film. But watching it is like looking for a giant Easter egg. I swear at one part I saw an alien wearing a pair of Bret “Hit-Man” Hart sunglasses. I recognized the Helmet the alien wore as I had the same kind when I played Lazor Tag. The film is an absolute blast, but not in the Rocky Horror way where it’s so bad you make fun of it. No it’s a blast because you can tell the people working on it were having the time of their lives making it. That fun feeling transfers over to the final product. Light-saber battles, laser gun shootouts, Roman Candles for alien bomb effects, you name it. Its like an Alien vs Predator, I Come In Peace hybrid that’s actually more entertaining than most big budget Sci fi films. How can you see this you ask? Well that’s easy. Due to the massive cult following and out pour of support the film has garnered over the years. InterVision Films, a division of Severin Films is putting it out on DVD and loading it up with special features. I cant stress enough that this is a must see for anyone. Sure it’s definitely cheap, two hundred and fifty dollar cheap and the majority is filmed outside, but it really is fantastic. Like I said its better than most films I have seen in the theature lately. And its also a good reminder to filmmakers that even though it takes time it is possible for you little film to get the credit it deserves.